Flexstone’s stunning garage floor coatings boast luxurious finishes topped with an industry-leading next-generation Poly-Aspartic. Flexstone’s attractive Garage Flooring products are second to none. Flexstone garage flooring system is the common-sense solution to worn-out tired looking garage and showroom floors. 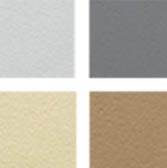 The next-gen polyaspartic coatings are incredibly tough and boast a variety of stunning textured finishes. Products are available to fill and level low spots or pocked concrete. Options available for waterproofing applications over living space. Because Flexstone Garage Coatings are designed to take some heavy abuse, they becomes an outstanding solution for nearly any flooring job. Whether it is a residential garage, a showroom, a vehicle parkade, retail floor or even a warehouse floor - Flexstone is the common-sense answer. The finish options are not only aesthetically gorgeous, they are also incredibly durable. Our rugged mock-aggregate finishes provide a tough but flexible outer shell that protects your concrete from heavy traffic and UV damage. Flexstone’s solvent-free base coat is ideal for repairing and leveling worn down concrete so your surface is restored and durable as ever. 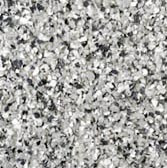 Flexstone is formulated to handle dramatic temperature fluctuations, and heavy traffic, making it an ideal garage floor or commecial/industrial coating. 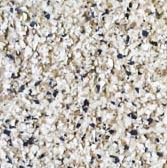 Unlike most other membranes, if you damage your Flexstone garage floor it is an easy fix. Simply sand, wipe and reapply the coating! Flexstone systems are designed and tested for industrial strength. The membrane can easily withstand vehicular traffic and is resistant to nearly any chemical. Choose from a variety of standard colours or luxurious textured stone blends formulated to suit almost any design scheme. 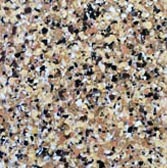 acrylic flakes that leave you with a permanent low maintenance attractive floor that lasts a lifetime.